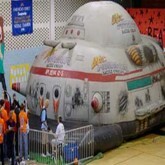 Interactive Inflatable Rentals in Miami are great for school carnivals, church festivals, and corporate events! 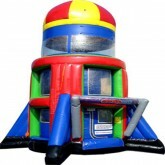 These inflatables bring out the competitive nature of all guests and make your event lots of fun. 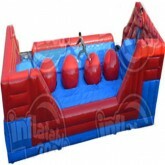 Interactive Inflatable Rentals There are 28 products. 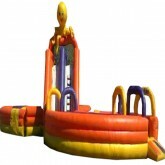 The Big Baller Obstacle Course Rental in Miami is as much fun to watch as it is to play! 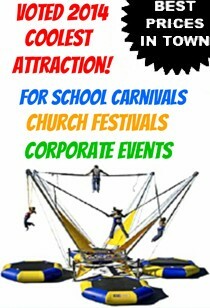 An excellent choice for school carnivals and church festivals! 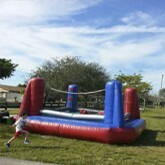 The Adrenaline Rush 2 obstacle course rental in Miami is a great game for relay races at picnics, physical team building programs, and anywhere you want to make a big impact! 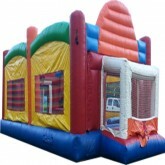 The Ultimate Inflatable Obstacle Course Rental in Miami! Racing fans this one's for you! 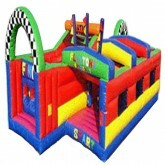 Introducing our Playtona Inflatable Obstacle Course Rental in Miami! 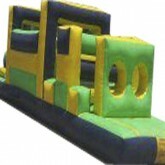 The Extreme Inflatable Obstacle Course Rental in Miami is the first figure eight track ever desinged! Race against another challenger and run in different directions. The one to come out first wins! 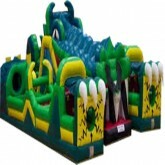 This Gator Obstacle Course Rental in Miami is a Florida Staple! 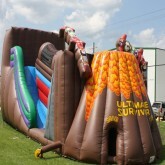 Challenge your buddy through a race that takes you into the mouth of a gator and through obstacles, ladders, and slides! 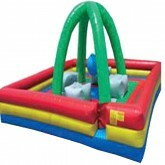 Our basic 4N1 Inflatable Obstacle Course Rental in Miami. 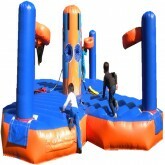 Our Giant Sports Arena Rental in Miami is the only ALL IN ONE inflatable rental that allows you to play all the following games in one unit: Soccer, Joust, Volleyball, and Basketball! What else can you ask for? 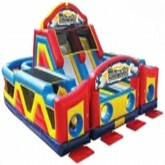 Our Heat Ball Inflatable Basketball Game Rental in Miami is the perfect addition to any school carnival or corporate event! 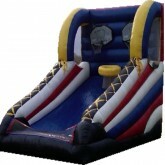 The Whip It Interactive Inflatable Rental in Miami is the most challenging and fun game that we currently carry! 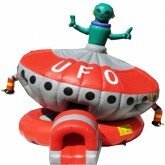 Our newesest 2015 Interactive Inflatable may just be the best one EVER! Introdocing the Ultimate Survivor Zipline Rental in Miami! Are you or someone you know a boxing fanatic? 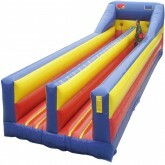 Well surprise them with an oversized inflatable Bouncy Boxing Ring rental in Miami! 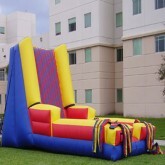 Bungee Run Rentals in Miami are fun and exciting for school carnivals, church festivals, and corporate events! 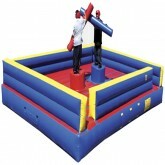 Gladiator Joust rentals in Miami will remind you of that tv show long time ago The American Gladiators! 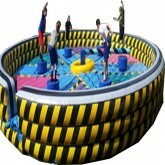 The Extreme Sports Challenge is a 4 Player interactive game that will literally pin you against your opponent! Fun as well as challenging! Try out you balancing skills and see if you can reach the very end of Jacobs Ladder! 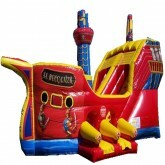 Inflatable Pirate Ship is perfect for elementary school kids! 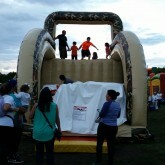 Inflatable Bubble Car Wash Rental in Miami is a hit at car shows and company picnics! 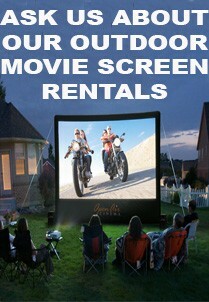 Check out the Parachute Adventure Rentals if your looking for something unique. Are you a baseball enthusiast? 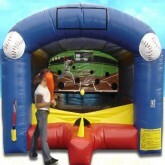 Then check out the T-Ball Baseball Game Rental. 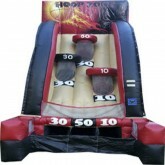 The Triple shot Basketball game is a great addition to have at any carnival or fundraiser! 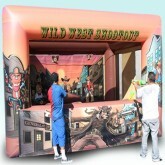 The Wild West Shootout is perfect for any westren theme event! 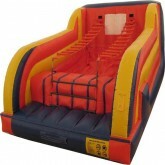 This is the most fun you'll ever have on an interactive inflatable rental! Introducing the Wrecking Ball! Is your son or daughter playing softball or baseball at school? Are you a baseball enthusiast? 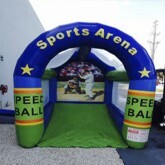 The Inflatable Speed Ball Pitch Rental in Miami is for you! Having a Spiderman Theme Party? 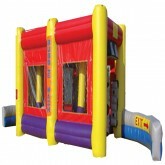 The Velcro Sticky Wall Rental in Miami is the perfect Interactive Game rental for you! 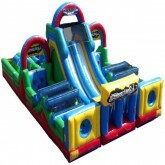 JUMP PAD Come ride the Ultimate Inflatable Jumping Experience...Introducing The Jump Pad!